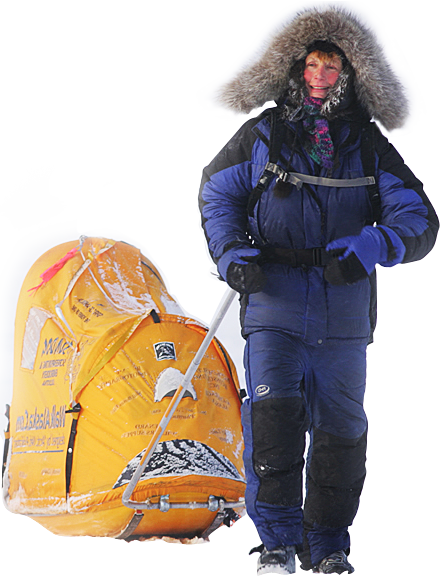 Global Adventurer Rosie Swale Pope is recognised as one of the world’s most courageous, gutsy women of her generation. She is the only person in world history, man or woman, to have undertaken an epic solo, unsupported run around our world at the age of 65- over 20,000 miles facing extreme danger, bitter Siberian winters, wolves, axmen and desolate loneliness over nearly five years. Her international best-seller book ‘JUST A LITTLE RUN AROUND THE WORLD’ is Rosie’s understated yet gripping heart-rending account of the resilience of the human spirit to passionately take hold of a noble dream, then triumph over every adversity in life, including the death of the love of her life to make it a reality. Rosie is also an exceptional storyteller and inspiring corporate motivational speaker whose messages are full of the inspiring life-enriching lessons we all need to hear in these challenging, uncertain times. ‘Thank you so much for speaking, it ended the day exactly as I wanted it! My colleagues didn’t stop talking about you and your adventures all night, and then continued again this morning. Your love of life and your never give up attitude was just perfect! Riding over 1,400 miles on horseback across South America, from the Atacama desert to Patagonia. Running 1,000 miles solo and unsupported across Iceland north to south, through its lava deserts. Completing numerous world renowned marathons, from the New York and Reykjavik marathons to the famous Comrades double marathon and the Swiss Alpine Marathon. Running solo and unsupported over 4,000 miles across North America from New York to Los Angeles at the age of 71, pulling her 250 LB cart behind her.